MCC begins its 2018 touring programme this week as a thirteen-man squad of Playing Members from around the United Kingdom departs for Brazil and Chile. The fifteen-day trip is the first of three overseas tours which will take place this year, with visits to Sweden and Kenya to follow. MCC will take on the Brazilian, Chilean and Peruvian national sides during the trip, as well as several other fixtures against leading clubs in Brazil and Chile. All matches on the tour will follow the T20 format. The squad will arrive first in the Chilean capital, Santiago, where they will take on the Prince of Wales Country Club, before fixtures against the national teams of both Chile and Peru. They will also partake in nets and training sessions with the Chilean national womenâs team. The squad will then fly to Brazil and the city of Sao Paulo, where they will play Sao Paolo Cricket Club in two T20 matches, and the Brazil national team, also in two short format games. Rio de Janeiro is the final stop on the tour, where Carioca Cricket Club will be their opponents in four T20 matches across two successive days. MCC Tour Manager for the trip is Michael Foster, who has been a Playing Member since 2003. This is his first tour as manager having toured 4 times previously as a player and captained tours to USA, Tanzania and Malawi. Karl Pearson, of Sevenoaks Vine Cricket Club, is captain. The all-rounder plays in the Kent Premier League and has previously represented Herefordshire. Many of the players on the tour will be of ECB Premier League standard, with a number of the party also having had experience at County and Minor County level. Reinhardt S trydom has played One-Day International and T20 International cricket for Ireland as well as having played extensively for Ireland A, while seamer William Rudge has county experience, having played first-class cricket for Gloucestershire. MCC last toured Brazil and Chile in March 2007. Cricket in these countries dates back to the 19th century but their admission to ICC competitions is much more recent; both became Associate Nations in 2002. They have since competed in the ICC World Cricket League Americas section, which is part of the ICC structure for Associate and Affiliate Nations to progress up the global ladder. 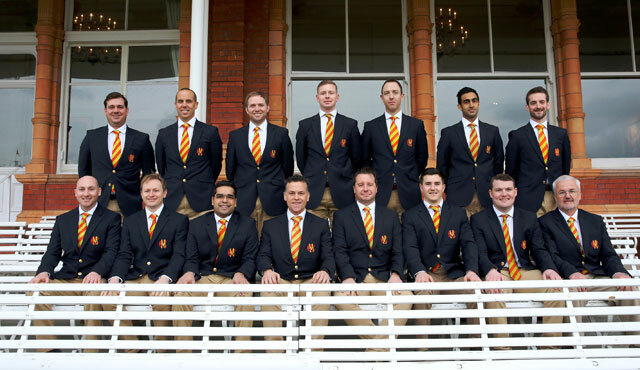 MCC Head of Cricket, John Stephenson, said: âWe have selected a squad that we believe will provide challenging opposition for the matches in Brazil and Chile, and we are hopeful that this tour will aid the development of cricket in both countries. To keep up-to-date with fixtures, photos and blogs from the Tour, click below.